The American Cities Initiative is an expansion of Mike Bloomberg’s support for U.S. cities at a time when they face steep challenges, and when the nation needs them to power solutions that move the country forward. The initiative will help city leaders address climate change, combat obesity and gun violence, and catalyze new opportunities for artists and volunteers to work within their communities to solve problems. It will result in more grants, more coaching and technical support, and more opportunities for city leaders to learn from one another, to share lessons, and bring better practices back home. 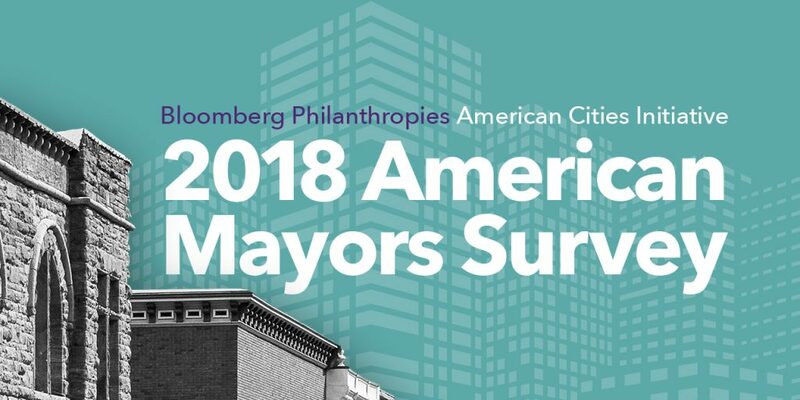 As part of Mike Bloomberg’s American Cities Initiative, Bloomberg Philanthropies conducted an in-depth examination of issues facing America’s city leaders in the largest survey of mayors and city managers. The 2018 American Mayors Survey is the first to include small cities (30,000-plus residents) alongside larger metropolises. Mayors and city managers of 156 cities from all regions of the country participated. The findings will help promote bold leadership in America’s cities, advance critical policies and legislation and empower citizens to solve urban problems.